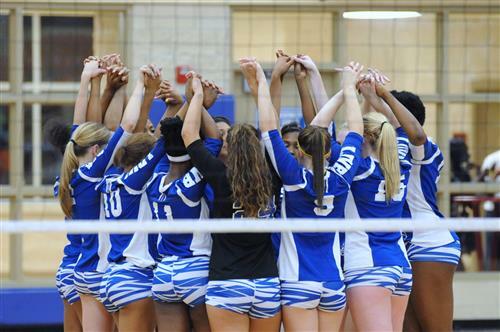 AUSTIN – The Copperas Cove volleyball team placed fifth at the Austin ISD Jason Landers Invitational Tournament over the weekend, only losing to the eventual champion, and host team Austin Bowie, in the first round of the Gold Bracket on Saturday. The Lady Dawgs started day one of the tournament on Thursday rolling to three straight wins in pool play defeating Round Rock Stony Point 2-0 (25-16, 25-21), Austin Eastside 2-0 (25-2, 25-1) and Austin Travis 2-0 (25-4, 25-5) at Burger Center. On Friday, the Lady Dawgs defeated Robinson 2-0 (25-20, 25-21), Georgetown East View 2-0 (25-7, 25-13) and Liberty Hill 2-1 (25-17, 19-25, 25-17) in the second day of pool play at Akins High School. “Really good day for us, we started out a little rocky this morning, but game two against Georgetown East View, that was a great match, the girls played really good and really dominated that game,” Lowery said. The toughest game on the second day was against Liberty Hill, the fourth-ranked team in Class 4A. After the win, the Lady Dawgs remained undefeated on the young season at 8-0. Lowery also had high praise for her young team coming together so early in the season. Copperas Cove received the top seed in the championship bracket on the the third and final day of the tournament playing against the host team, Austin Bowie, losing 2-0 (25-19, 25-17) on Saturday. “When you have a young team, they need to know that they can be beat and they have to play every game. If we learn something from that, then that was a good loss this morning,” Lowery added. The Lady Dawgs bounced back to defeat Poth 2-1 (22-25, 25-10, 25-10). The win put Copperas Cove against a team they had beaten a day earlier, Liberty Hill. The Lady Dawgs defeated the Lady Panthers 2-0 (25-17, 25-16) to take fifth place in the tournament. Seniors Mikayla Blount and Lexi Perez were named to the all-tournament team and Copperas Cove finished the tournament 8-1 and 10-1 overall to start the season. “We learned some stuff, I saw some new people step into some spots and they did a good job so it was good experience we went 8-1, you can’t complain about that,” Lowery said. Lowery was proud of her young team’s performance so far this season..
“Chyanne Chapman is getting better every minute she is on the floor, really pleased about that. I think Megan Diaz, a new varsity member, a junior, and she’s doing a better job. I think Katy Ranes stepped up on the right side for us today. The key is to get them all meshing at the same time and clicking at the right time and it’s all there,” she said. Next game for the Lady Dawgs is at Round Rock Stony Point on Tuesday.